The League and Lance Strategies are excited to offer a 3-part webinar series: Be Intentional: 9 Strategies for Relentlessly Pursuing Personal and Professional Success. The webinar series has been underwritten through the generous sponsorship by Teri Black & Company and allows members of all Women Leading Government chapters, The Legacy Project. The League, and Michigan Municipal Executives – 16/50 Project to register for FREE. Is this webinar series for you? Read on! Maybe you have big goals but aren’t making the progress towards them that you had hoped? Or, just maybe you feel like there could be something “more” in your days. 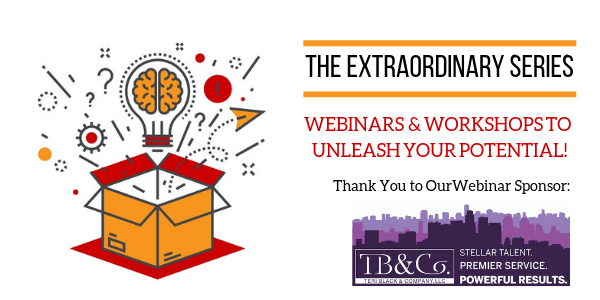 If any of these thoughts apply to you or someone you know, this webinar series is for you! Join Nicole Lance of Lance Strategies to learn how to Be Intentional: 9 Strategies for Relentlessly Pursuing Personal and Professional Success. Own your days, don’t let your days own you! FREE if you are a member of the League, Women Leading Government (all chapters) , The Legacy Project and Michigan Municipal Executives – 16/50 Project – use promo code “WomeninGov” during registration. All webinars cost $20/participant – everyone else. REGISTRATION: For more information and to register, CLICK HERE. The second of a 3-part series, this webinar shares strategies 4-6 for relentlessly pursuing personal and professional success. We’ll cover why it’s critical to Initiate Courageous Conversations and how to do it successfully, the importance of Treating Every Interaction as an Interview, and the strategic advantage of putting people first by Remembering the Human-ness of Your Work. These strategies are game changers for people truly interested in success! Webinar #1: 2/6/2019 – CLOSED! This event is sold out! The first of a 3-part series, this webinar introduces the first 3 strategies of the “9 Strategies for Relentlessly Pursuing Personal and Professional Success”. Learn why Being Intentional, Building an Army of Advocates, and Choosing Your Own Adventures are all critical for relentless pursuit of success and how you can level up in each of these areas to get where you want to go.